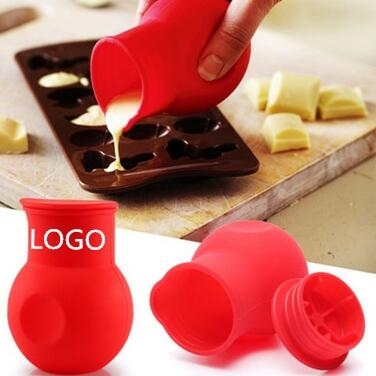 Use this Silicone Melting Pot to easily melt Chocolate in the Microwave. Simply fill with chocolate, melt in the microwave and pour the melted chocolate into the chocolate mould.Made from flexible silicone and featuring a removable lid and pouring lip, the melting pot will allow you to easily melt and pour a number of food items.Ideal for melting Chocolate and Butter, heating Milk and Sauces and even for mixing Salad Dressings. 3.5" x 2.6" x 2.6"
Package: 1 pc/poly bag, 100 pcs/ctn, 12.1 lbs/ctn.